1.1 You are contracting with Celtic Tuning Limited, a company registered in England with Company Registration Number 07395121. The Registered Office is Unit 3a, Quintdown Business Park, Newquay, Cornwall, TR8 4DS. References to Celtic Tuning, “the company”, “we”, “our” and “us” throughout the Terms and Conditions refer to this Company. 2.1 These Terms and Conditions will be binding between the Company and you, the customer, upon booking your vehicle in for work with us. Where you, the customer, are a consumer, these Terms and Conditions do not affect your statutory rights. 2.2 We need certain information from you which is necessary for us to provide services. Examples include the make, model, engine, age and mileage of your vehicle. We will not be liable for any delay or non-performance where you have not provided this information or it is inaccurate. 2.3 It is the customer’s responsibility to ensure the vehicle is in correct working order without underlying faults. We make no representations or warranties that the services and products we supply will not cause damage to your vehicle, owing to, but not limited to, an underlying fault or poor servicing. Prior to carrying out any software tuning to a vehicle, we will carry out a basic inspection. We do not make any representations or warranties that this inspection will identify all underlying defects of your vehicle which may cause your vehicle to fail after software tuning has been carried out. In circumstances where the condition of your vehicle is such that we advise you, that the carrying out of our services may cause damage to your vehicle over time, and you chose to proceed with our services, you do so at your own risk. High mileage vehicles or vehicles that are poorly maintained are examples of where we may advise you not to proceed. Where an advisory notice is documented on this invoice, we accept no liability for any damage caused, directly or indirectly, to your vehicle, or any financial loss or expenses incurred by or imposed on or in connection with your use of our services. 2.4 We make no representations or warranties that our services will not expose or exacerbate a previously unknown fault or weakness with your vehicle, which may ultimately lead to an engine failure. 2.5 We make no representations or warranties that the use of our services will not invalidate any manufacturer or 3rd party warranty you may currently have in place. (c) we will use every effort to repair or fix the defect as soon as reasonably practicable and, in any event, within 60 days. 3.2 You will not have to pay for us to repair or fix a defect with the services or products under this clause. 3.3 We will not accept liability for any work carried out by a 3rd party in circumstances where you have not afforded us the opportunity to rectify any defect in accordance with clause 3.1. 3.4 Where you have afforded us the opportunity to rectify any defect in accordance with clause 3.1 and we have not done so within 60 days, we will only be liable for work carried out by a 3rd party where you have obtained our written permission and provided us with three written quotes in advance of having the work carried out. 3.5 As a consumer, you have legal rights in relation to services not carried out with reasonable skill and care, or if the materials we use are faulty or not as described. Advice about your legal rights is available from your local Citizens' Advice Bureau or Trading Standards office. Nothing in these Terms and Conditions will affect these legal rights. 4.1 If we fail to comply with these Terms and Conditions, we are only responsible for loss or damage to a vehicle (or its accessories or contents) that is a foreseeable result of our breach of the Terms and Conditions or as a result of our negligence. We are not responsible for any loss or damage that is not foreseeable. Loss or damage is foreseeable if they were an obvious consequence of our breach or if they were contemplated by you and us at the time we entered into this contract. Loss or damage arising out of the circumstances in clause 2.4 is not a foreseeable event for the purposes of this clause. 4.2 We are not liable for any costs associated with recovering a vehicle that has broken down. 4.3 Where you are a consumer, we only supply the services or product(s) for domestic and private use. You agree not to use the services or product(s) for any commercial, business or re-sale purpose, and we have no liability to you for any loss of profit, loss of business, business interruption, or loss of business opportunity. 4.4 Subject to clause 4.5, our liability to you for any direct loss, damage, cost or expenses shall be limited to £1,000,000 in respect of any one event or series of connected events. (a) You may cancel any booking for services at any time before the booking by contacting us. We will confirm your cancellation to you. (b) If you cancel a booking under clause 5.1(a) and you have made any payments in advance for services that have not been provided to you, we will refund these amounts to you. (c) However, if you cancel a booking for services under clause 5.1(a) and we have already started work on your vehicle by that time, you will pay us any costs we have reasonably incurred in starting to fulfil your booking, and this charge will be deducted from any refund that is due to you or, if no refund is due to you, invoiced to you. We will tell you what these costs are when you contact us. (a) We may have to cancel a booking before the start date for the services, due to an event outside our control or the unavailability of key personnel or key materials without which we cannot provide the services. We will promptly contact you if this happens. (b) If we have to cancel a booking under clause 6.1(a) and you have made any payment in advance for services that have not been provided to you, we will refund these amounts to you. (c) Where we have already started work on your vehicle by the time we have to cancel under clause 6.1(a), we will not charge you anything and you will not have to make any payment to us. 7.1 We provide a two (2) year warranty on the software against any bugs, corruption or necessary updates. There may be a call out charge applicable if carried out by our mobile services, or an hourly rate of through our dealer network. 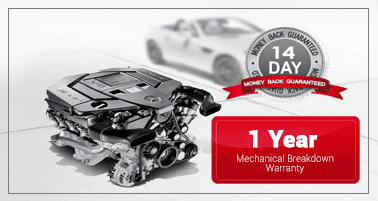 7.2 For vehicles that are within their manufacturer’s warranty, we provide a money back guarantee which is valid for fourteen (14) calendar days following and including the day the work was carried out. Any refund issued under the guarantee is subject to a £50 (inc. VAT) call out fee. 10.1 We may transfer our rights and obligations under these Terms and Conditions to another organisation, and we will always notify you in writing if this happens, but this will not affect your rights or our obligations under these Terms and Conditions. 10.2 We may amend these Terms and Conditions periodically. 10.3 The Company shall have a general lien on all of your vehicle(s) and all of their contents for all monies owing to the Company by you on any account whatsoever. 10.4 We shall be entitled to reasonable storage charges if you do not pick you vehicle up within 30 days of delivering it to us. 10.5 We are not responsible for loss or damage to vehicles or other property whatsoever or however occasioned, except when such loss or damage is caused by the sole negligence or deliberate act of the Company or its employees or agents. Under no circumstances will the Company accept liability for loss or damage outside its control for any indirect loss, consequential loss, loss of profits, loss of business, loss of use or any special loss. 10.6 This contract is between you and us. No other person shall have any rights to enforce any of its terms. 10.7 Each of the paragraphs of these Terms and Conditions operates separately. If any court or relevant authority decides that any of them are unlawful, the remaining paragraphs will remain in full force and effect. 10.8 If we fail to insist that you perform any of your obligations under these Terms and Conditions, or if we do not enforce our rights against you, or if we delay in doing so, that will not mean that we have waived our rights against you and will not mean that you do not have to comply with those obligations. If we do waive a default by you, we will only do so in writing, and that will not mean that we will automatically waive any later default by you. 10.9 These Terms and Conditions are governed by English law.